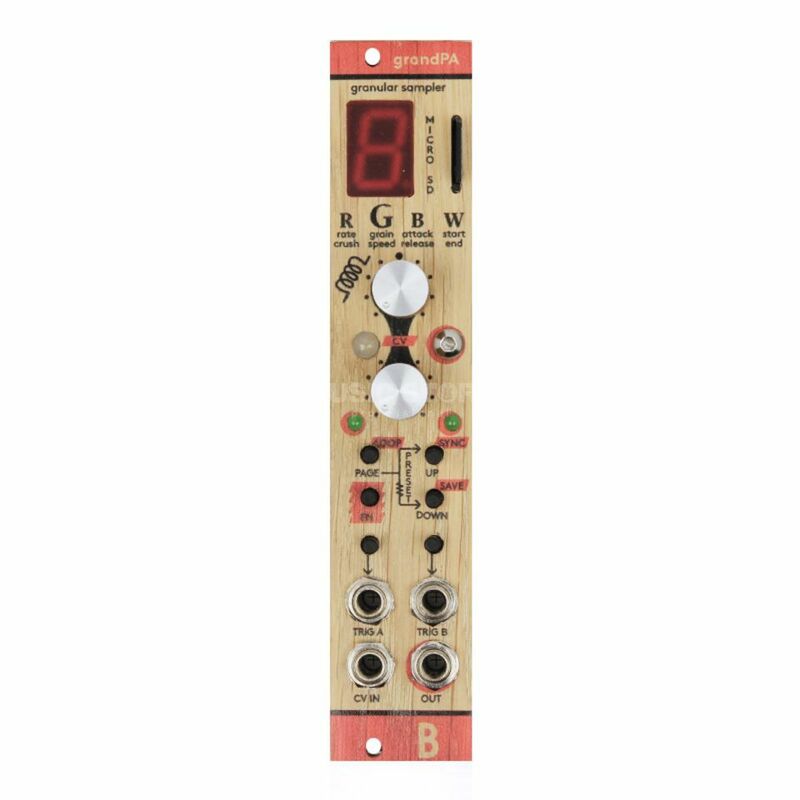 The Bastl Instruments GrandPa Granular Sampler is a compact eurorack module with 2 trigger inputs to trigger 2 samples. The CV input can be assigned to any sound parameter and can trigger grain shift. The oak front panel of the Bastl Instruments GrandPa Granular Sampler has a microSD slot for playing .wav files and features the same sound core as the Bastl Instruments microGranny 2. Each sample can be adjusted: sample rate, crush, grain size, shift speed, attack, release (full release is hold), start and end position.